This snare drum piece focuses on using 8th note rests before playing an 8th note, so that the snare drum plays on the off beat. 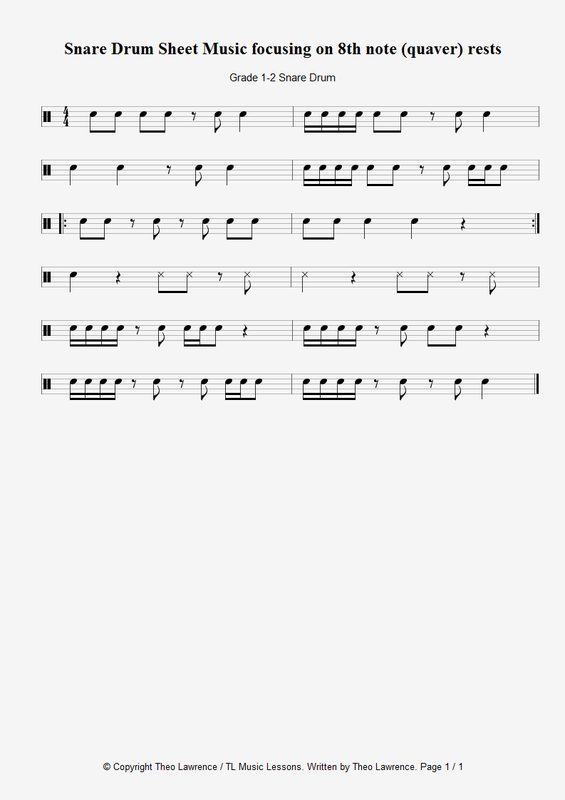 The off beats are combined with various rhythms that you would also find up to grade 2 level, consisting of 16th note, quarter note and 8th note combinations. There are also some snares with an X note head – these are to be played on the snare rim.